Earlier this year, Huawei passed Apple to become the second largest smartphone maker in the world. 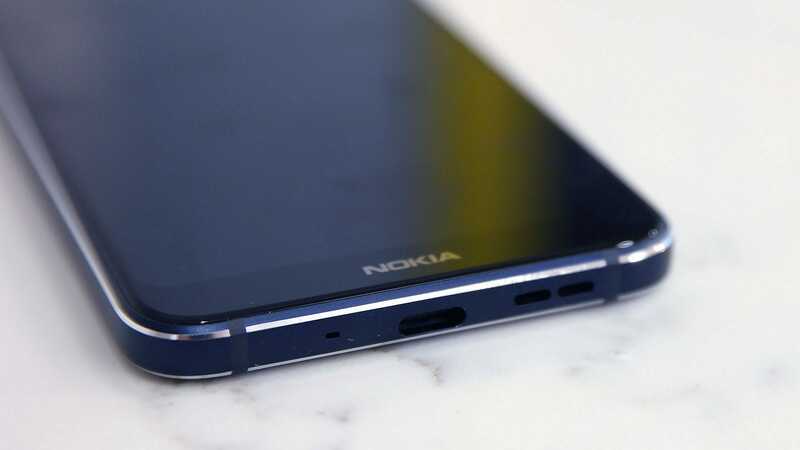 That marks a big shift in the handset power rankings, but there’s one phone company that’s arguably made even bigger strides, and unlike Huawei, it’s a company you’ve almost certainly heard of before: Nokia. LIKE: Elegant styling, sturdy build, Android One, good cameras for the price, has a headphone jack. DON'T LIKE: Battery life is just average, only available unlocked, Android 9 should be coming, but hasn't arrived yet. Well kind of. Behind the recognisable name brand, modern Nokia phones have only existed for about two years after startup HMD Global bought the Nokia name back from Microsoft and returned the company to its Finnish roots. And in that short time, Nokia has already rocketed back into the top 10 for global phone market share, and thanks to devices like the Nokia 7.1, it’s not hard to see why. 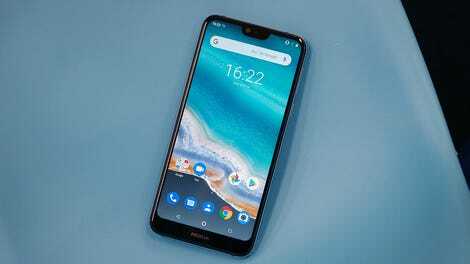 For just £300, the Nokia 7.1 ticks all the proper checkboxes for stuff you want and need on an inexpensive handset. 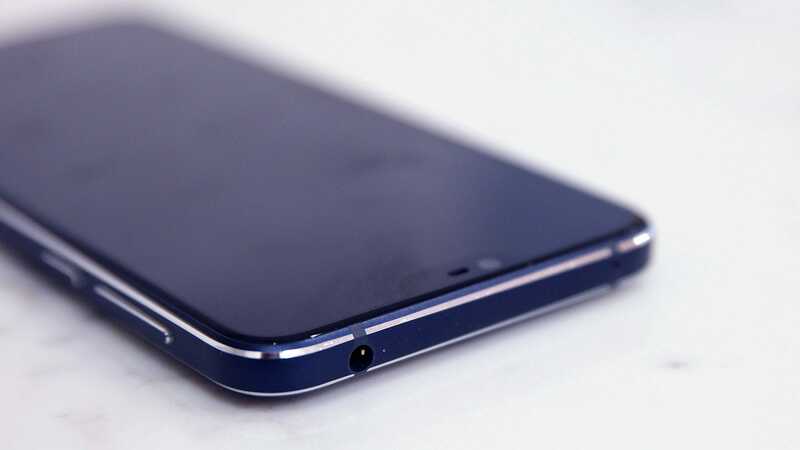 Its Qualcomm Snapdragon 636 provides more than adequate performance, it comes with 4GB of RAM and 64GB of storage (the same as a base Pixel 3), and you even get a microSD card slot and a headphone jack, which are features most new premium phones have abandoned. The one spec the 7.1 lacks that I wish it had is some form of water-resistance. Though to be fair, almost none of the 7.1's main competitors have official IP protection ratings either. And despite its affordable price tag, the Nokia 7.1 never feels cheap. 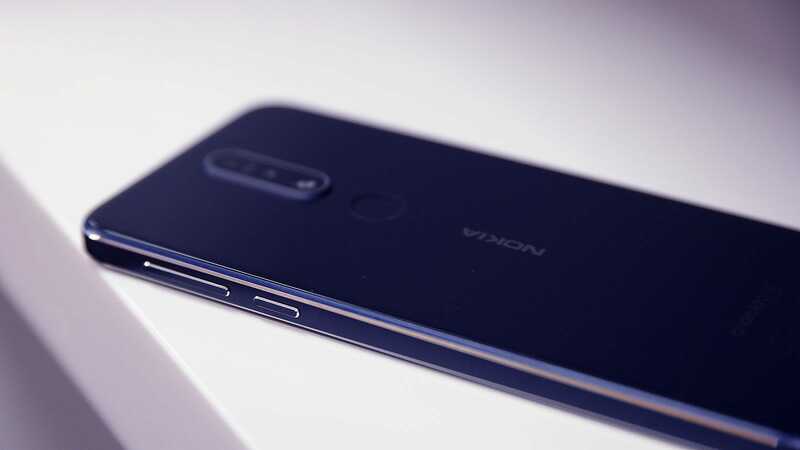 Sure, its design is basically a glass brick with a strip of aluminium running around its sides, but little touches like diamond cut edges featuring accent colours that contrast with the Nokia’s midnight blue or stainless steel paint jobs add a bit of class. Even the 7.1's build has a sense of heft and solidity that you don’t quite get from other top-notch budget phones like the Moto G6. In front, the Nokia’s bright FHD+ screen even supports HDR 10, which means some content from services like YouTube, Netflix, and others looks better when played on the 7.1 compared to similarly priced competitors. And in cases when there’s no HDR-certified content, Nokia also includes a handy video feature that upconverts standard-definition content so that it looks a bit more vibrant. The one annoying thing about the 7.1's screen is that unlike most notched phones nowadays, there’s no option to hide the cutout, even if you go in and turn on the phone’s developer options. 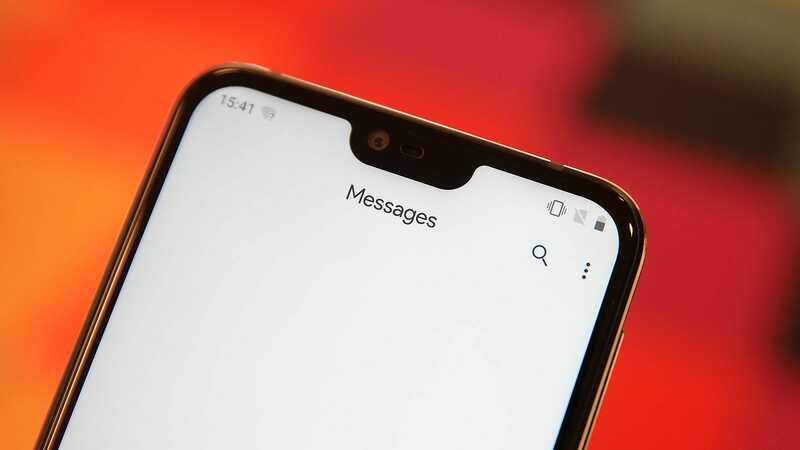 Thankfully, if you really can’t stand the way notches look, you can still combat that issue by using apps like this one. The 7.1's chamfered edges are a nice touch you rarely see on phones this cheap. Nokia doesn’t offer any built-in options to hide the notch, but you can use third party apps like Natcho Notch to fix that if you want. Oh hey, a headphone jack. And on bottom, the 7.1 offers a USB-C port and a mono speaker. Android One means there’s zero bloat. Nice. Around back, the 7.1 offers a 12-MP main camera, with a second 5-MP shooter for handling depth of field effects and portrait mode duties. And while you won’t be surprised to learn that the 7.1's camera can’t quite match what you get from a Pixel 3, Nokia’s budget phone still holds its ground quite well. 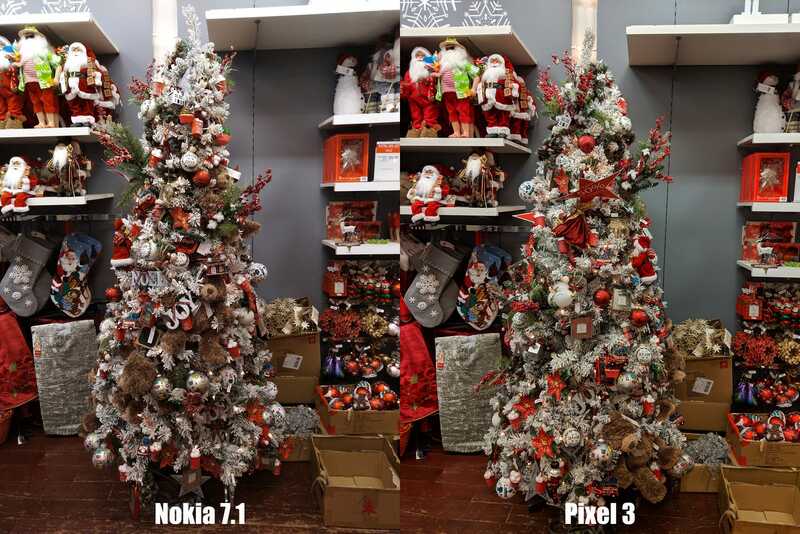 I was especially impressed with the 7.1's daylight shots, including pictures of a fully loaded Christmas tree that came out quite close to a comparison pic taken by a Pixel 3. 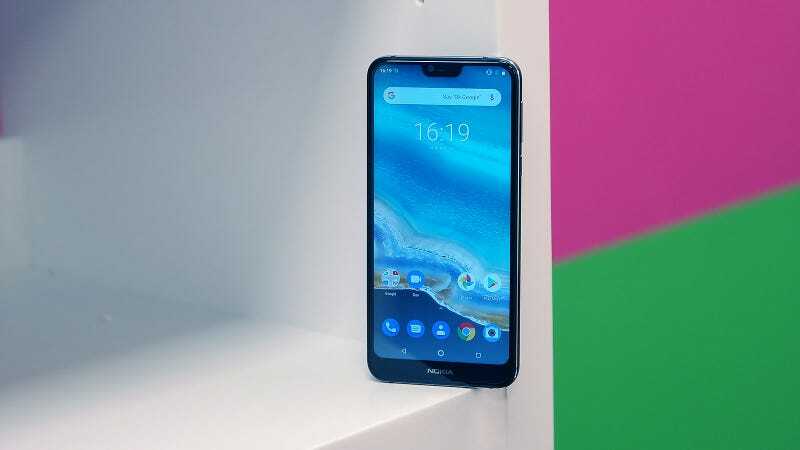 And on the inside, the Nokia 7.1 is part of Google’s Android One program, which means you get a clean, bloat-free version of Android, including updates and security patches managed by Google itself. 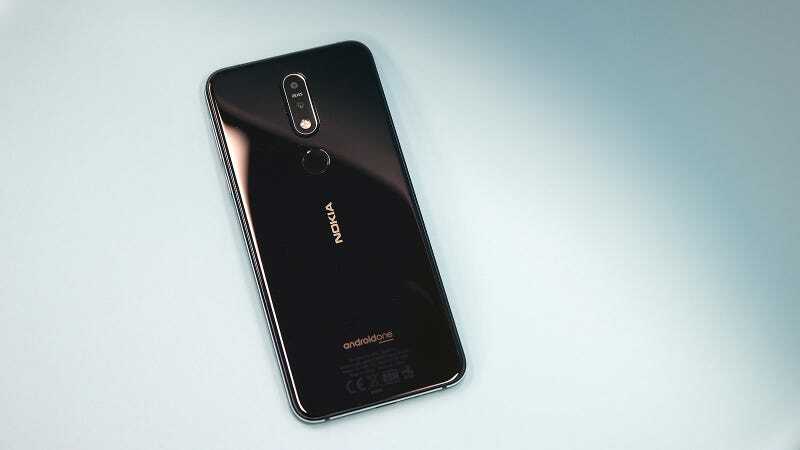 Unfortunately, the Nokia 7.1 is still running Android 8 despite claims that an update to Pie was supposed to arrive before the end of October. I’ve reached out to Nokia to get a better idea of when an update might be available. Unless you nitpick, there’s not that much difference between the Nokia 7.1 and a Pixel 3 in bright light. Here, the Nokia 7.1 misses out on highlights on the flower’s petals, but the Pixel 3's pic isn’t perfect either and appears slightly over saturated. In low light, Google’s HDR+ processing gives the Pixel 3 a noticeable advantage, but for a phone that costs less than half the price, the 7.1's pic is just fine. Honestly, after checking out the whole device, there isn’t that much to complain about. But there are still a few things that could be improved, most notably the 7.1's battery life. On our rundown test, the 7.1 only managed a shade of 9 hours, which isn’t bad, but still less than the 10 hours most new phones deliver. For those looking for a simple phone at the right price (and a hint of premium style), Nokia’s 7.1 embodies many of the same qualities that made the brand’s feature phones from the late 90s and early 2000s so memorable. 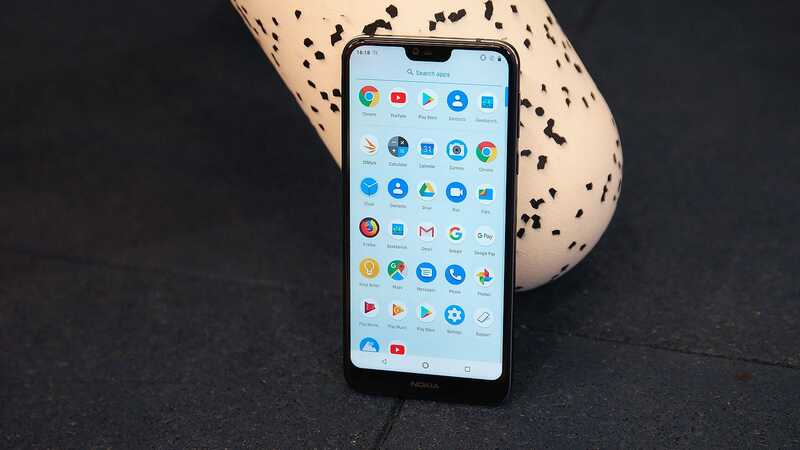 It’s a solid, minimalist phone with pretty much every feature you need, and with a price tag of £300, even before any discounts, the Nokia 7.1 feels like a steal. The Nokia 7.1 doesn’t seem to have an option to hide the cutout with black bars on either side, so you better like notches (or third party notch hiding apps). The 7.1 is one of the cheapest phones with support for HDR 10, and it even has a feature that upconverts standard definition content to make it appear richer and more detailed. At just a hair over nine hours, the 7.1's battery life is just average.